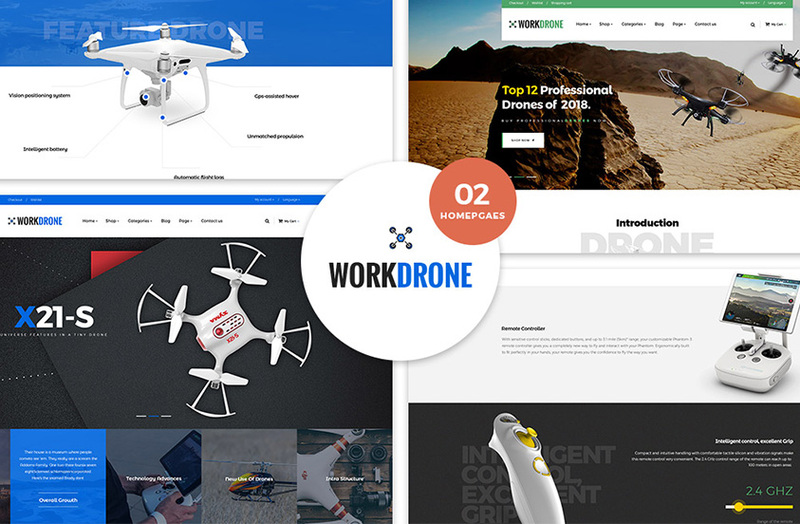 Coming with 02+ Drone Single Product Homepages, Stunning pre-built Pages, Multiple Powerful Plugins on WordPress Platform, Drone Single Product WordPress Theme surely is your smart choice. 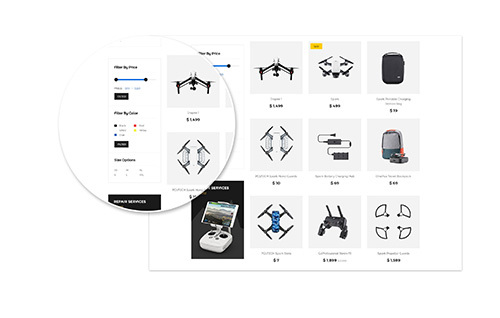 The theme lets customers build perfect any Drone Store by 1 Click Installation Sample Data Import. 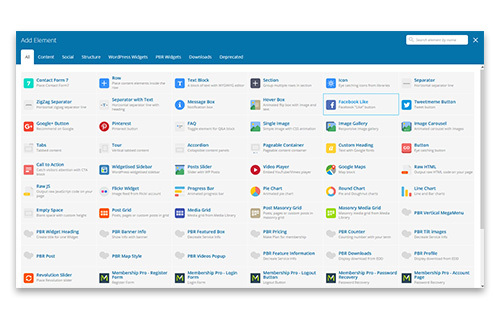 It also has outstanding look and great interface on all popular devices: Desktop, Tablet and Mobile. 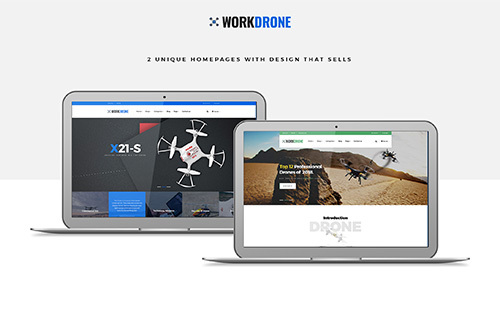 With Drone, You can SAVE $53 – including best selling Slider Plugin, Slider Revolution (save you $19) and the amazing WordPress builder – Visual Composer (save you $34). 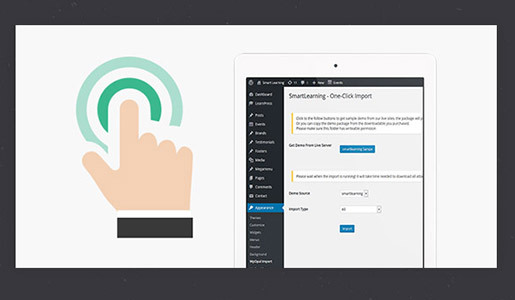 Your site can run smoothly and have nice interface. 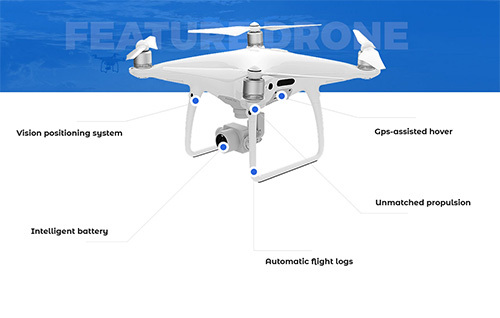 By just hovering onto the image, your customers can take a very close look at your flycam details. Polish your store for specific types of products, including Simple Product, Variable Product, External / Affiliate Product, and Grouped Product. 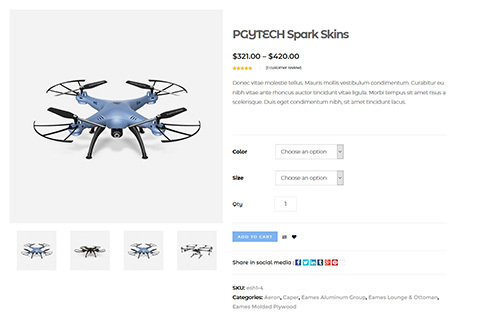 Allowing your customers to refine products according to types, price, color, size, and so on means bettering their shopping experience at your store. Display to the fullest all the information about your flycam, from General Description, Technical Specifications, to every single elements in the design. 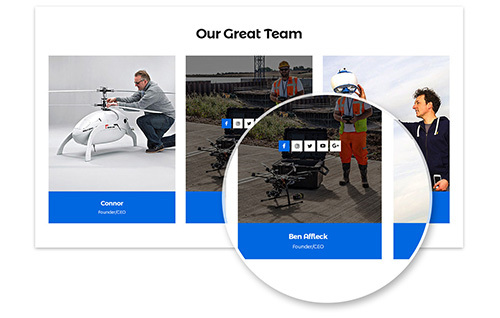 Showcase your projects, stories, and all details of your products lifelikely in images, videos, buttons, and elements. 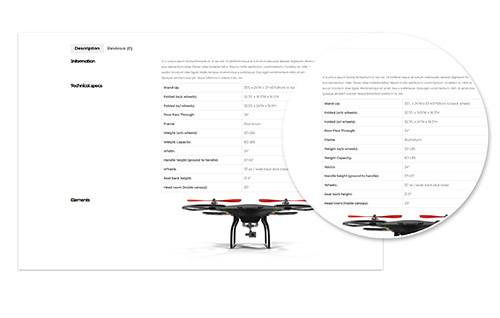 With multiple plugins integrated, Drone serves as a handy tool to ease your work and save your time! This is a time-saving solution every non-techie will love. 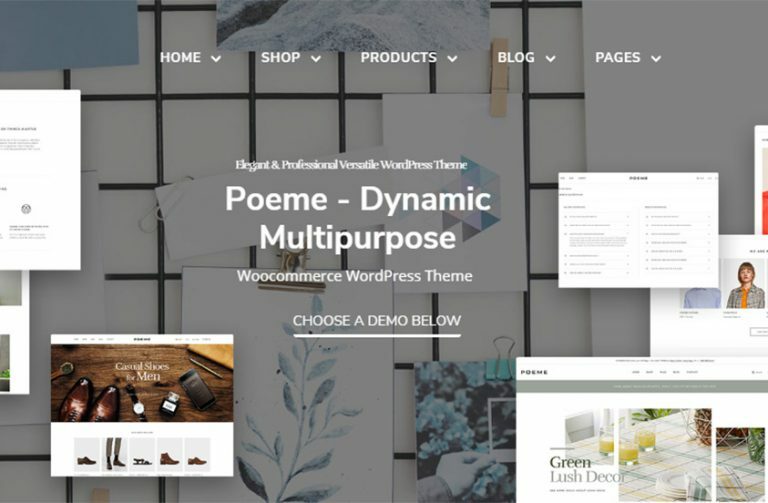 With a single click, website appearance will look exactly like demo.